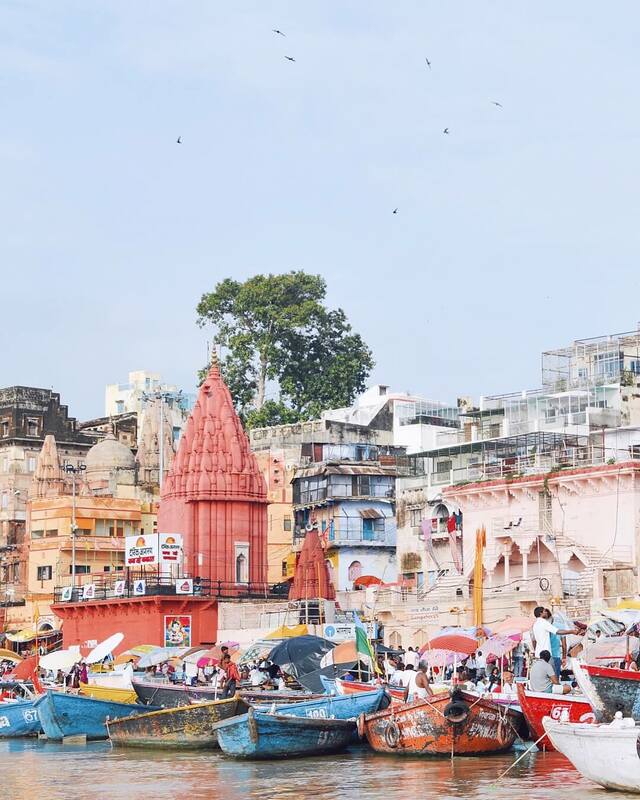 I learnt so much during my time here that I just couldn’t help but share some fun facts about India with you; some that may amaze you, and some that may break your heart. For a country that is often seen as incredibly foreign and far removed from the western world, you’ll be amazed to know that India actually has the second largest population of English speakers in the world – coming second behind the USA! 10% of India’s population and a total of 125 million people in this country are bound to the English language – isn’t that crazy? 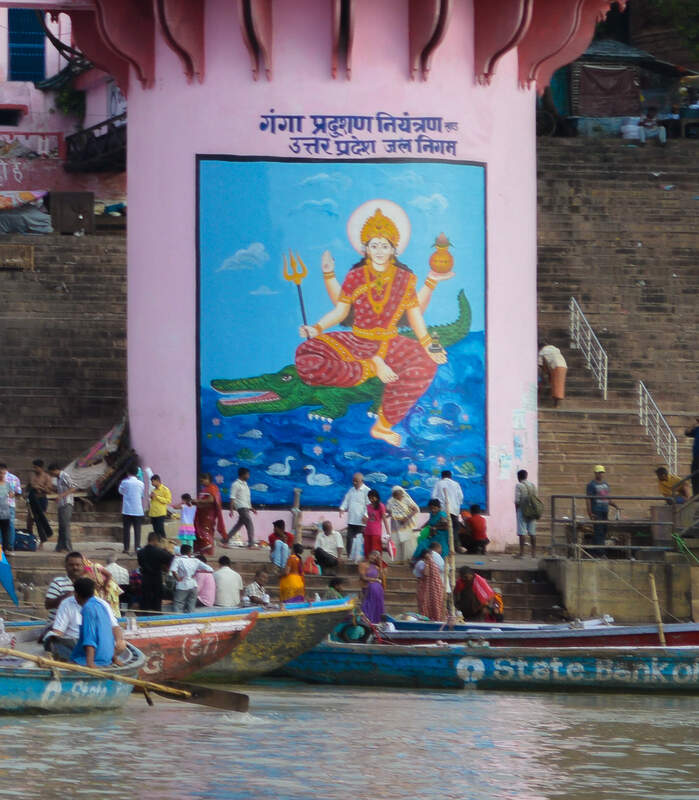 People come from all around the world to bathe, drink and worship in the sacred waters of Ganga, in the hopes of washing away their sins and purifying their soul. And it doesn’t stop there… Hindu’s also believe that having their bodies cremated on the banks of the Ganges river will free the soul from the cycle of death and reincarnation – These particular Cremation Ghats on the edge of the river burn continuously through all hours of the day and night. It’s an incredibly spiritual place, to say the least! Children, pregnant women, holy men, people with leprosy and people that have died from a snake bite will not be burnt on the river banks. In these cases, rather than being cremated the bodies are instead weighed down with stones, covered in fabric and left for the river to consume. 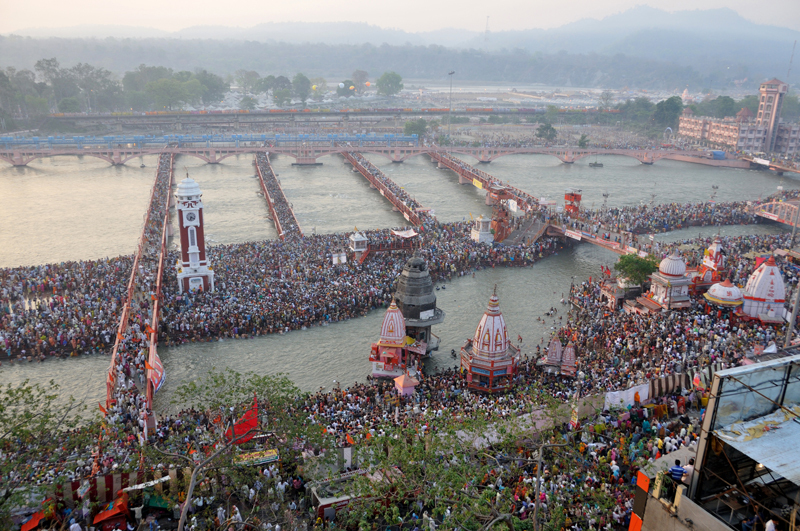 Kumbh Mela is a mass Hindu pilgrimage of faith that takes part in one of four sacred sites every 3 years. During the festival, over 120 million people gather to bathe in the holy river – over 30 million people visit the designated site each day of the ceremony, in order to wash away their sins and become one step closer to salvation. With such a huge number of people in one relatively small location, the mass was visible via satellite image from space! It may sound crazy, but over the last few years, India has accounted for almost 14% of all global arms purchases – and they don’t even want to put them to use! This peace-loving nation strongly advocates for all nations to correspond in harmony; and although it may seem a little excessive, this major purchase of arms is simply as a security measure and is driven by defensive concerns. In order to ensure the integrity of their own nation when in danger, India continues to be the world’s leading arms importer. You can make your own opinion on that one! I don’t like to focus on the negative aspects of a country, but this is a fact… And facts can’t be ignored. 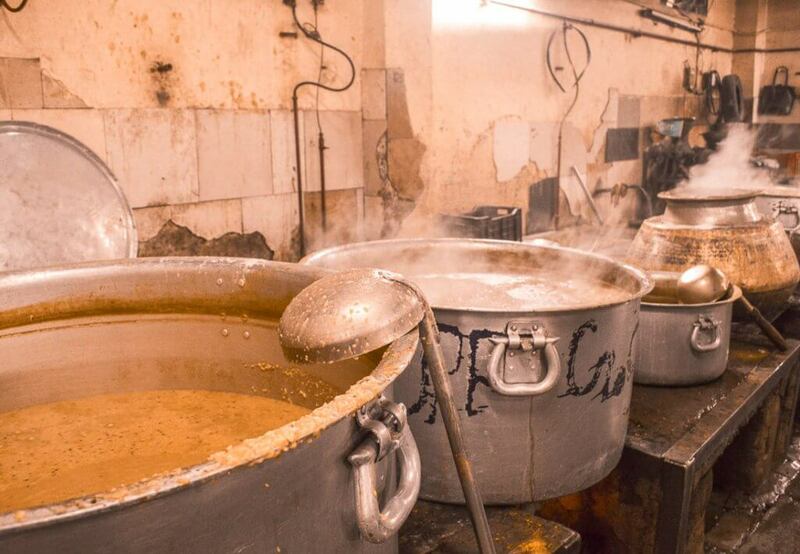 64 million people are left without a home, forced into child labour, forced to drink contaminated water, left to deal with horrific waste disposal and a severe lack of security. The Mumbai Slum, Dharavi, is one of the largest slums in the world – hosting almost 1,000,000 people. Across the entire country, there are over 64 million people living in extreme poverty, and this number is greater than the total population of my home country, Australia. There are almost 27 million babies born every year in India. As a comparison, there are only 23 million people in the whole of Australia. That’s around 51 births each minute, 3,060 births each hour and 73,440 births per day – WOAH! I’m not going to lie, I was almost certain that Beijing was the most polluted city in the world, but unfortunately for India, New Delhi has taken the cake. From my personal experience of spending time in this city, there’s absolutely no doubt that it’s incredibly polluted… But when there are almost 19 million people living within its border and minimal waste solutions, what can you expect? For the size of the country, India has the longest, densest railway network in the world. With 65,000 km of connected railroad, India carries over 8 billion people every single year – not always inside the carriages might I add – but regardless, this number is the highest in the world! If this railroad were to be stretched out straight, it would wrap around the circumference of the Earth over 1.5 times! Out of all of the fun facts about India, this one definitely blew my mind the most! Even during my visit, there were numerous religious ceremonies held throughout the country that was accepted and respected without any question – India is certainly a country to be admired. For a country that is often generalized for its poverty and overpopulation, India has invented and discovered some incredible things. They were even the first people to discover that there was water on the moon! But on a more everyday level, imagine life without buttons, shampoo or cotton clothing?!? India has the lowest rate of meat consumption in the world – It’s said that between 30-40% of the Indian population is vegetarian, which is a huge number considering the majority of other countries have a total of less than 5%! This is because of religious and cultural traditions, such as Hinduism – where they strongly recommend and believe in ‘ahimsa’ — non-violence against all life forms, including animals. 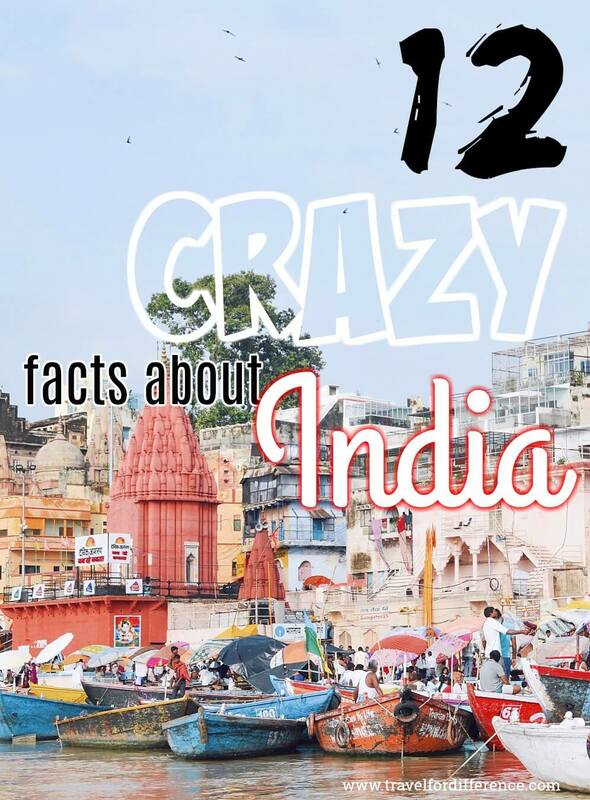 Have you got any other fun facts about India to share? It’s such an incredible country with so much information and fascinating history. I’d love to hear your thoughts down below! Sadly Ganges is not pure anymore. It’s really informative topic. Share the amazing info. Good Job! Amazing stuff. I read the full article it is very fruitful. I’m so glad you enjoyed, thank you! Thanks for writing this great article! It’s very informative, and you included some great facts to equally great article. Great read! I attended the Kumbha Mela. It was crazy. 300kms away, trains, buses, cars even planes were delayed or cancelled because of the 100 million people attending. Personally, despite being a white British man, I have organised for my body to be burnt and spread in to the river Ganges. As you can see living and working in India has completely changed my life. I think that is so so amazing Gordon. I absolutely love that you’re so open and honest about your beliefs – It’s definitely something to be admired. India really is a life changing country, I’m so happy that it has had such a positive influence on you!